Through innovative design solutions and cutting-edge technology, ICRAVE continues to reinvent the gate hold experience and turn passenger wait times into measurable revenue streams for operators. With a focus on reducing travelers’ anxiety, ICRAVE aims to capture the local spirit – both in food and design- of the city in which the airport is located to create engaging environments. 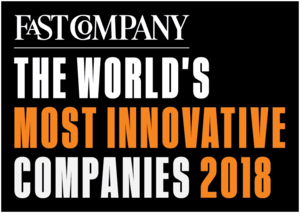 Our award-winning work is located across twelve passenger terminals throughout North America, and continues to challenge outdated models and introduce fresh solutions. The mid-twentieth-century futuristic architectural design of Terminal A at Reagan Washington National Airport was ready for a twenty-first-century restoration. ICRAVE preserved its classic touches as part of a totally reimagined gate area that has won multiple awards for its bold design and innovative lighting. The focal point is the 100-seat Page Restaurant and flowerlike 42-seat circular bar. To bring travelers the best of Toronto’s culinary talent, ICRAVE created 13 hybrid restaurant-bar-market concepts inside the airport’s gate hold area. iPads were added to streamline ordering and keep travelers well informed and engaged. Each destination was designed to stand-out with a unique and highly impactful sculptural elements. In 2008, ICRAVE partnered with OTG to create six bold restaurant concepts for JetBlue’s JFK T5. We leaned on the use of technology, rich-materials, and bold architectural elements to create immersive environments that continue to offer guests memorable experiences a decade later. Delta has been partnering with ICRAVE since 2009 to re-envision its domestic hub at NY’s LaGuardia Airport. For Terminal C, we designed a 10,000-square-feet food hall inspired by the streets of NYC. It offers an array of food choices and an impactful wine bar concept. After Delta invited ICRAVE to tackle its Terminal D at LaGuardia Airport, we created an intercontinental destination that won awards for “Best Airport Food & Beverage – Sense of Place.” The line-up includes a Parisienne brasserie, sleek pizza café, and modernized Venetian café that celebrates the aesthetics of speed and transportation. Terminal D’s Custom Burgers earned a spot in Frommer’s “10 Best Airport Restaurants of 2011.” Eateries include specially-made customized technology tables with embedded iPads. When our client asked us to minimize traveler anxiety and enhance time spent at MSP International Airport, we focused improving dining venues, markets, gate seating and technology integration. Our efforts won an international award for “Best F&B Program,” plus widespread acclaim for its food and overall design. ICRAVE elevated the traveler experience beginning at the terminal entrance, allowing passengers to release the baggage of being in an airport, or even forget they are in one altogether. As the gateway to America – the melting pot of the world – the international terminal at JFK Airport was the ideal location to showcase the diverse eats of its host city. ICRAVE‘s “NYC Street Food” features a market scene of theatrical, open, interactive kitchens housed in artfully-designed vintage vehicles that catch the eye and inspire tasting. Exotic food trucks give travelers a unique way to experience moments of discovery and delight. Commissioned to reinvent the Austin airport experience, ICRAVE turned to the legendary music city itself for inspiration. We transformed The Heart of Austin, a live music venue that anchors the terminal, into a bustling center of activity. The area offers entertainment, food & beverage and experiential retail to thousands of daily travelers who are happy to find ways to pass time. Many of Austin’s favorite eateries, watering holes and cafés are reinvented into a curated experience at the airport terminal. 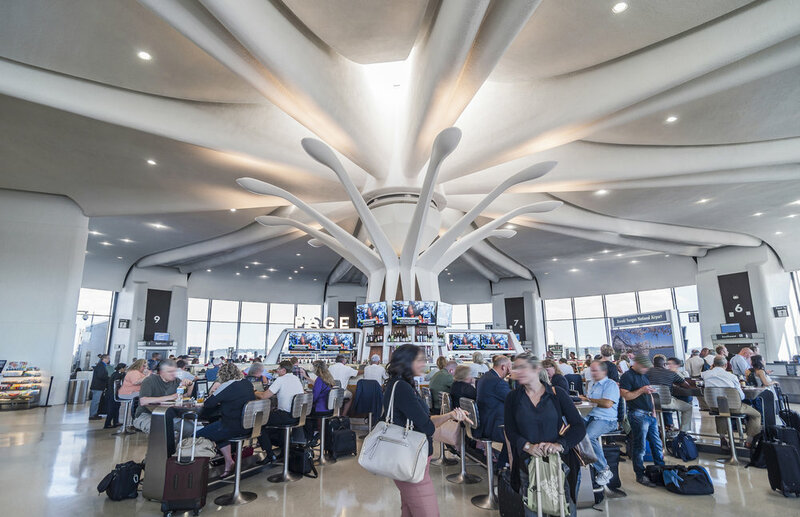 New Orleans was seeking design firms for the Food & Beverage Program and Retail Concession Program at the Louis Armstrong Airport. ICRAVE won commissions to design and develop both. Our plan was to elevate the airport by creating a destination on par with the “one-of-a-kind” city. We leveraged the look, feel and tastes of one of America's most culturally diverse cities by creating terminal rich with the abundant of food, music and entertainment found only New Orleans. We leveraged the look, feel and tastes of one of America's most culturally and historically-rich destinations. When the City of Philadelphia sought to make its airport Terminal B worthy of this great American city, our past designs for airport favorites, Sky Asian Bistro and Local Tavern, helped ICRAVE capture the commission. We teamed with OTG to develop an unparalleled experience that reinvented the airport with new venues for food & beverage and first-class shopping. 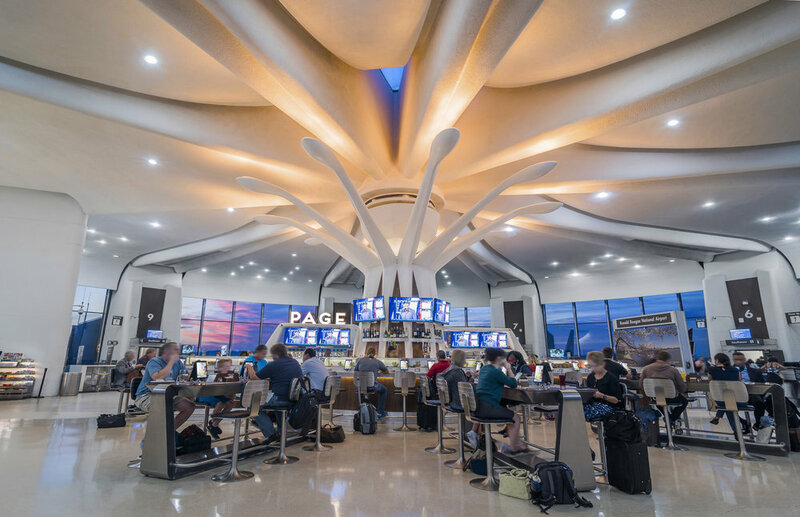 Our Sky Asian Bistro concept for Terminal B took home the Philadelphia Marketplace’s coveted “Merchant of the Year” award.